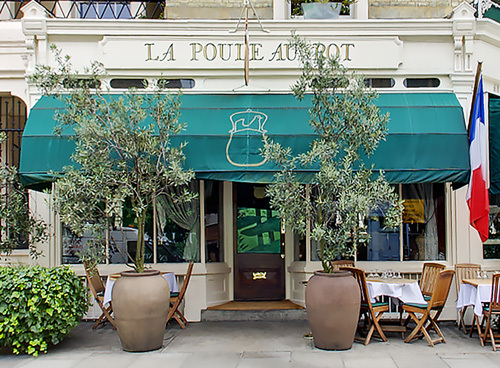 La Poule au Pot has been a Belgravia institution for as long as anyone cares to remember. The alluring interior, with its intimate nooks and festoons of dried flowers and bric-à-brac has changed little since the 60s and offers an authentic re-creation of “paysan” France. It is no surprise that La Poule has been voted “best for romance” in the whole of London in Hardens guide for the nth year in succession. 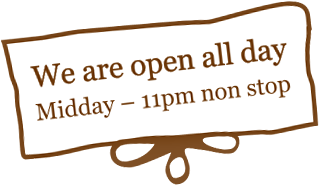 Alongside the wonderfully atmospheric ambience, the menu is classic French too: excellent ingredients, generous portions and fine cooking, presented with exuberant panache. The wine list is honest, thoughtful and interesting. In warmer months, the extensive outdoor seating area makes the restaurant one of the most desirable alfresco destinations in the capital.